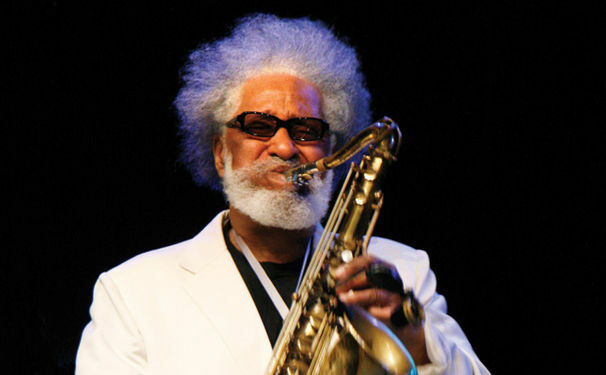 Today, Monday September 7th, Sonny Rollins shall turn 85 years young. So I couldn’t help but write about what Sonny means to me. Very few artists have had the impact on my life that Sonny has had, and he’s still doing it. I don’t think a day goes by that I don’t grab a Sonny Rollins album from my collection and completely surrender to it. No two Sonny Rollins albums are remotely alike. Just between the years of 1949-1957, Sonny made records with Babs Gonzales, Bud Powell and Fats Navarro, J.J. Johnson, The Modern Jazz Quartet, Miles Davis, Charlie Parker, Thelonious Monk, Art Farmer, Kenny Dorham, Clifford Brown, Max Roach, John Coltrane, Art Blakey, Dizzy Gillespie, Sonny Stitt, Oscar Pettiford, Shelly Manne, and Ray Brown. Before Ornette Coleman hit the scene big, Sonny was practicing with him in California around the time he recorded the incredible Way Out West album in 1957. Sonny played with Monk long before most people knew how brilliant and hip Monk was. He was one of Miles Davis’ first featured tenor saxophonists (and composers) when Miles became a band leader in the early ‘50s. Sonny Rollins has always done things his way. In 1957, he stopped using a piano player (his infamous “piano-less trio” recordings) for a brief period and made some of the most extraordinary music I’ve ever heard. On November 3, 1957, Sonny used two separate trios in one day for what would become the A Night At The Village Vanguard album on Blue Note. The afternoon trio consisted of Donald Bailey on bass and Pete La Roca on drums. That night, he used Wilbur Ware and Elvin Jones. This may be my favorite live album of all time. Both rhythm sections sound completely different. Every single tenor saxophone line on this two album live set is groundbreaking. No one had (or still has) Sonny’s sense of rhythm and he had the harmonic brilliance to lead several trios without a piano and have it make total sense. You don’t feel that anything is missing. Sonny filled that space beautifully. I could list some of my favorite Sonny Rollins albums all day long: Worktime, Sonny Rollins Vol. 2, Saxophone Colossus, Sonny Rollins Plus 4, The Bridge, Movin’ Out, Freedom Suite, Our Man In Jazz, Way Out West, Newk’s Time, and all editions of his wonderful Road Show series. And that’s just the start of my long list (in no particular order). Sonny is to the tenor saxophone what Bird is to the alto-sax. He took the articulation and soul of both Coleman Hawkins and Bird and created a style of his own that is still influencing musicians all over the world today. 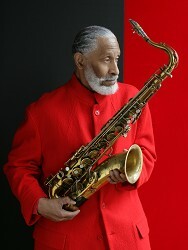 Sonny Rollins is deserving of all the accolades he’s gotten and much more. He’s still out there making innovative albums and performing shows that last over several hours long. I’ve seen Sonny live many times, and much like his albums, no two performances were alike. Sonny’s still as hip as he was when he penned “Doxy,” “Oleo” and “Airegin” on a small scrap of paper in the corner of Rudy Van Gelder’s studio on June 29th, 1954 for one of the Miles Davis’ most inspirational sessions of his entire career. Actually, Sonny’s even hipper today than he was back then. Sonny Rollins is an intellectual seeker of the highest order. I’m not sure if anyone can figure out what makes him tick, and thank God for that. The mystery of Sonny is part of the miraculous package, lengthy hiatuses and all. Happy Birthday Sonny and thank you for your music, mind, and fire that you’ve so freely shared with us. I think I can speak for Don Heckman and the entire staff at The International Review Of Music when I say we love you and feel blessed that you’re still swinging, searching, and inspiring so many artists to greater heights. 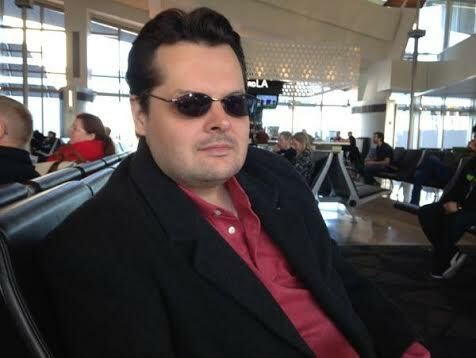 To read more posts, reviews and columns by Devon Wendell click HERE.